Gratitude is the best school leader attitude. It’s time to take some new approaches to showing the wonderful teachers you work with that you notice their hard work and care about them. There are many small, genuine ways for those in administration to reward teachers. 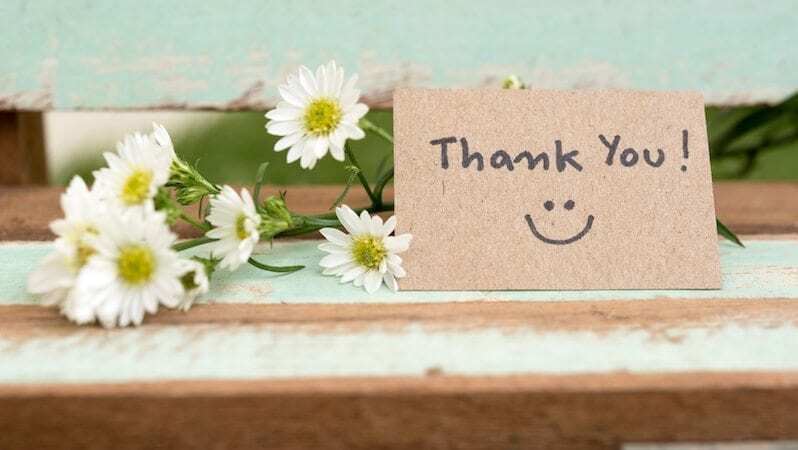 These simple gestures will remind teachers just how invaluable they truly are and how much you appreciate them. Discover more about your teachers as people. They love talking about themselves, and their students likely know tons about them. The question is, do you? What books are they into lately? Are they more Scandal or How to Get Away with Murder? Do they have hobbies? Find that common ground to build a foundation of mutual trust and respect; you’ll be surprised how far that can take you toward establishing a great working relationship. 2. Work with local businesses. Draw in local businesses to help you start rewarding teachers in new ways. Work with those salons, spas, cafes, and other businesses to offer your teachers special discounts, prizes, and more. Not only does it encourage your educators to see their community standing behind them but it generates great business for those participating. Everybody wins! 3. Praise them; don’t berate them. We know positive reinforcement is important for our students. Guess what? The same is true for adults. Tell your staff that they’re doing a good job. Tell them you appreciate them, give them a knowing smile, and walk away knowing you might have sent a warm fuzzy their way. 4. Give them a break. Many teachers will go all day long without some kind of break. Not only is this borderline inhumane but it does not spell out the recipe for success in teacher satisfaction. Cover for your teachers for a few minutes so they can eat their snacks in peace or to go to the restroom and—gasp—actually get to use it during the day. 5. Encourage mental health days. Teachers are notorious for racking up sick days because getting a substitute creates a level of panic akin to the annual Hunger Games. Encourage them to take time to replenish themselves and to nourish their souls. They’ll come back to work feeling more energized, more balanced, and yes, more appreciated. 6. Write them an email. Send them a meme, a silly joke, or an otherwise positive email. Every time your name appears in their inbox, they should not feel a sense of dread or concern over something negative. Emailing one or two teachers every day takes mere moments, is free, and could end up giving them exactly what they needed on an off-day. 7. Make note of their wins—publicly. Staff meetings are an excellent time to acknowledge your team. Call out teachers, focusing on something they did to go above and beyond. If you’re watching closely enough, you’ll notice they’re giving you material for praise every single day. 8. Gift cards are a universal language. Educators are often working on a slim budget. When you can, offer them a gift card to their favorite local spot, Target, or Michael’s. Let them know they can spend the money on themselves instead of their classrooms. 9. Offer more casual dress days. Folks in the stuffy corporate world get the opportunity to relax a bit on Fridays. Why not encourage the same for teachers? Maybe even use extra casual days as a fun, free incentive every now and then. Give teachers ownership. It might feel to them as though so many things in education are now being controlled by outside influences. When you can, let teachers have the agency. Give them as many options as possible and listen to their voices. 11. When in doubt, caffeinate. Buy the good coffee, tea, and creamer. This goes a long way in the tired, overworked soul of a teacher. Surprise them every so often with the local coffee shop grinds, an iced treat, or something else that you know they love. 12. Free, delicious food equals motivation. Most districts have a few spare dollars for doughnuts, cookies, or other small treats that might be just what the doctor ordered. Cater your longer staff meetings if you can, and if not, encourage a potluck or covered dish. Make them themed and offer prizes in the form of beloved snacks and drinks. 13. Teachers like field trips too! And if that field trip just so happens to be to happy hour … so be it. If your staff isn’t comfortable going out on the town like that, find an arcade, zoo, or other venue to allow for some decompressing and unscheduled fun. 14. Take over for them. You got into education to make a difference, and you can do that in a big way by offering to take over partially or wholly for one of your teachers every so often. It’ll allow them time to have a lunch out or maybe just a quiet break to regroup. 15. Chair massages: come one, come all. Did you know that lots of local trade schools have massage therapy students in need of some practice? Invite them to your school to offer chair massages to your staff during planning time, first thing in the morning, or as a surprise bonus at the end of the school day. 16. Host a teacher version of an awards show. Turn a staff meeting into an impromptu opportunity for staff recognition by creating fun, superlative categories like Busiest Beaver, a la The Office, or Most Improved, Best Style, and more. It’s a fun, festive, and silly way to honor your MVTs—Most Valuable Teachers! 17. Choose personal development over professional development. Teachers are lifelong learners. Otherwise, they wouldn’t have dedicated their time, lives, and youthful exuberance to this field. But that doesn’t mean professional development sessions should be without fun. Implement team bonding, team building, and personalized elements for your staff that sets your meetings apart from those of others—and be respectful of their time. Get in, get your message across, and get out. Lauren Ramirez is an old mom to a chocolate lab and new mom to a baby girl, this former teacher and current higher education professional has been involved in education and childcare in nearly every capacity. Her interests are food, being the most similar to the good sitcom moms, and writing.